Molly Struve wins individual gold, Nicole Crighton silver, Patricia Hennessey Bronze. 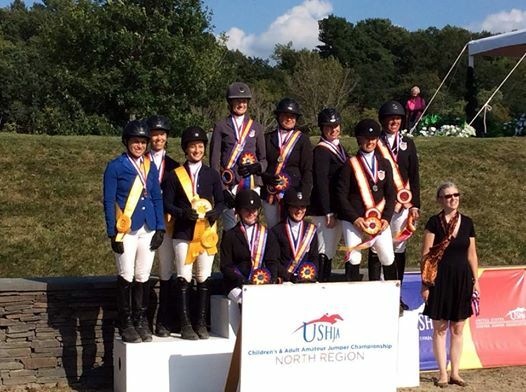 Lexington, KY-September 12, 2014- Riders from Zone 5 rose to the top during the 2014 Children's and Adult Amateur Jumper North Regional Championship, held September 2-4, 2014, at HITS-on-the-Hudson VII in Saugerties, NY, claiming Children's team and individual gold and Adult Amateur team bronze and individual gold. The Children's team championship saw seven teams from Zones 1, 2 and 5 go head-to-head for team gold. Zone 5 Children's Team Gold winners. However, it was the one and only team from Zone 5 that proved to be victorious ending on the lowest score of 8 faults, claiming the gold medal. Zone 2 Team 1 took silver with 12 faults and Zone 2 Team 3 followed closely taking the bronze with 13 faults. Zone 5 Adults win Bronze, Zone 2 Team 1 win silver, Zone 2 Team 2 takes Gold. The Adult Amateur team championship saw six teams total. Zone 2 Team 2 took the gold medal ending on a faultless score.The silver team medal was hotly contested with three teams going head-to-head in a jump-off (Zone 1, Zone 2 Team 1, Zone 5). Zone 2 Team 1 came out on top to take the silver. Zone 5 took the team bronze. Zone 5's Anika Pirkle took the individual gold. Thirteen-year-old Anika Pirkle (Carmel, IN), who also rode for the Children's Zone 5 gold medal team, continued on in the individual Children's championship claiming gold as the only rider in the championship to end on a faultless score aboard her own nine-year-old Thoroughbred gelding, Just A Dream. Coco Fath (Fairfield, CT) earned the Children's individual silver aboard Veronieque collecting only 5 faults, and closely behind Fath was Taegan Long (Medford, NJ) earning bronze with Pocahontas picking up only 5.5 faults. Adult Amateur Molly Struve (Wilmette, IL) had a near faultless round in the individual Adult Amateur championship aboard Orchidee Milody, winning the gold medal with only one fault. 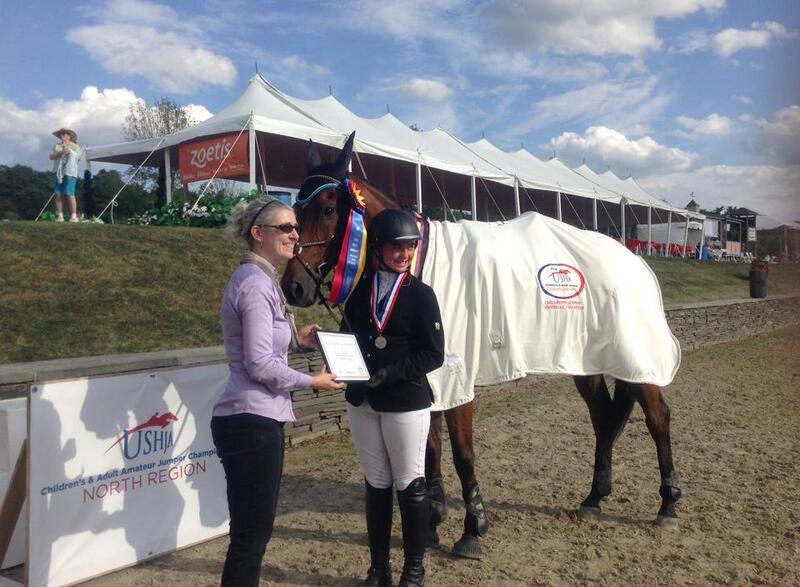 Nicole Crighton (Brewster, NY) was not far behind with only 2 faults, thus picking up the silver medal aboard Zipp. Patricia Hennessey (Kintnersville, PA) guided her mount, Little Tom, to the individual bronze ending with four faults. Zone 5 Chef d'Equipe David Doerner. The courses, designed by Danny Foster, were challenging but fair for the Children's and Adult Amateur riders. "I thought the courses designed by Danny Foster were perfect for the competition," stated Struve. "They started out pretty straight forward and then as the weekend went on they got bigger and more technically challenging. 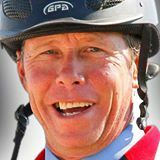 There were lots of lines set on the half stride which forced you to really ride and make a decision." "The experience was fantastic and to share the it with my son Kyle made it extra special," said Brenda Perkovich. "The best part for me was the team experience. Working with Dave Dorner and getting to know my team mates was great. Kyle really liked getting to know other kids from different areas too, he had so much fun. I would definitely recommend making this regional a goal. Every element is challenging and Nations cup format is a truly great experience." Molly Struve added, "I would definitely recommend the championships to others because it gives you a taste of what it is like to compete in an international format and you get to meet so many great people while you do it. The team plus individual format is what makes it so wonderful. In addition, it is a great way to experience a finals competition for the first time and I think it is a great warmup for Harrisburg and Washington." Struve continued, "The addition of the team competition was also great. Competing and being able to cheer for each other was fun, but the best part for me was getting to meet the other adults. When you are competing alone it is hard to go around and meet people, but in this case we were forced to and I ended up meeting some very nice people. And even after the team competition was done we still were cheering for each other on the last day which was cool. Our chef, Dave Dorner was great. Throughout the whole competition he was always at the ring cheering on every Zone 5 rider. It gave me a lot of pride in my zone." 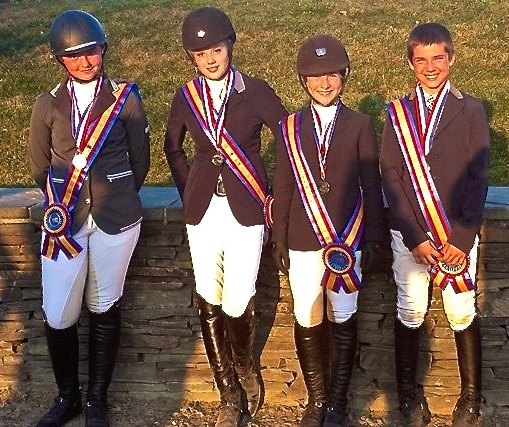 The Children's & Adult Amateur Jumper Regional Championships are divided into four regions: North Region (Zones 1, 2, and 5), South Region (Zones 3 and 4), Central Region (Zones 6 and 7) and West Region (Zones 8, 9, 10, 11 and 12). Held in Nation's Cup-style format, the Championship is held for teams and individual riders.For more information on the Children's & Adult Amateur Jumper Regional Championship including dates, selection criteria as well as how to be a part of the 2015 Championships, click here.